The months following the first of the year are what I call “sport show season”. Even the folks who like to ice-fish will find some time to visit a sport show or “Expo” or two this time of year. We all like to dream about the open-water fishing and camping to come, maybe make plans to visit one of the hot spots on our “bucket list”, ogle pictures and mounts of big fish and big bucks, and maybe learn a thing or three and just plain have a good time in the process. 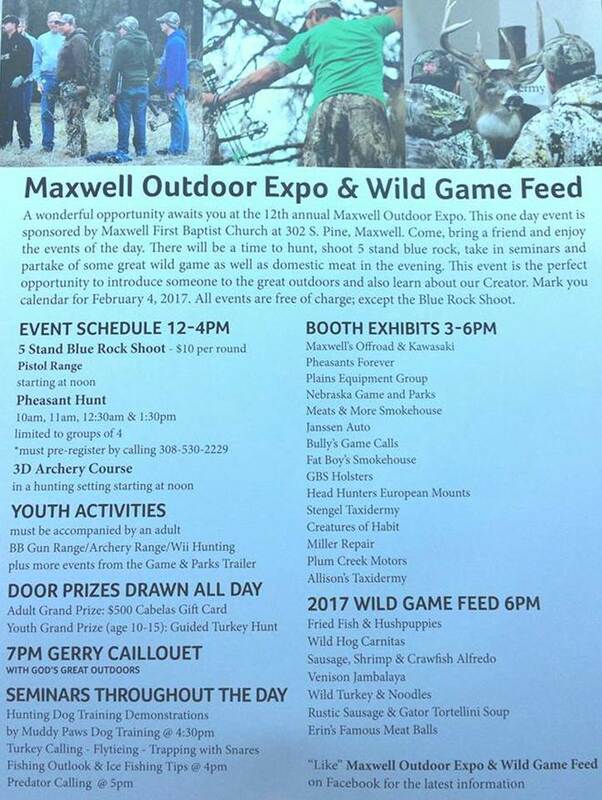 I know of an Expo coming up this weekend, Maxwell Outdoor Expo and Wild Game Feed. 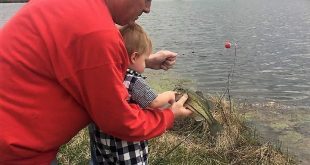 Of the sport shows and expos that I have worked, this one is unique in all of the activities, real “hands-on” outdoor activities, that are offered! Blue rock and pistol shooting, 3D archery, and even the chance to do some game preserve-style pheasant hunting! Plus, a wild game feed and feature speaker at the end of the day that you do not want to miss! 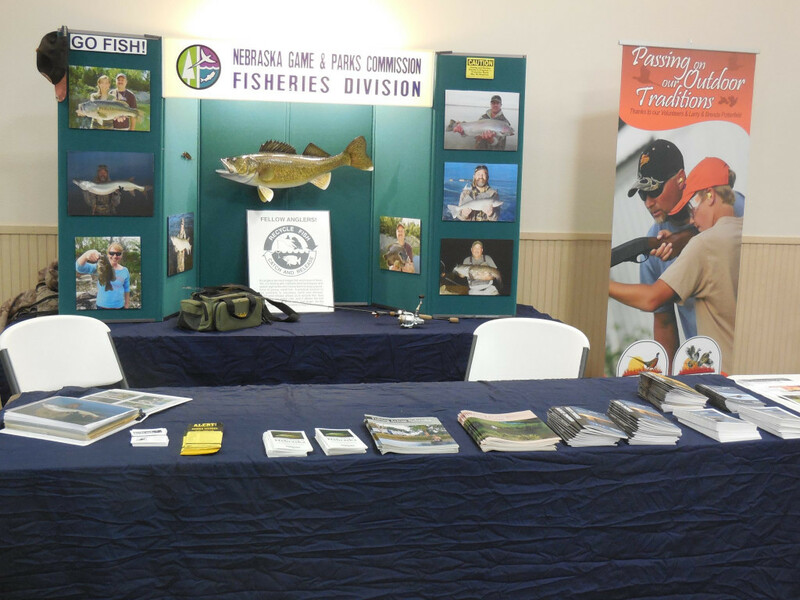 I will be there talking all things Nebraska fishing; stop by, say “Hi”, tell me a fish story, show me some pictures, ask a question!